The Asian American Journalists’ Association just broke the news that The O’Reilly Factor‘s Executive Producer David Tabacoff has agreed to a sit-down meeting with AAJA and other representatives of the Asian American community at the NYC Chinatown’s Museum of Chinese in America. After the jump is AAJA’s full statement. There is no word whether additional Fox News executives or staff have agreed to attend the meeting. The “This is 2016” Facebook group was launched earlier today to help curate community reaction to the Watters’ World segment. The name of the group is reference to a trending hashtag started by New York Times editor Michael Luo who tweeted about a racist encounter he endured in Manhattan over the weekend. 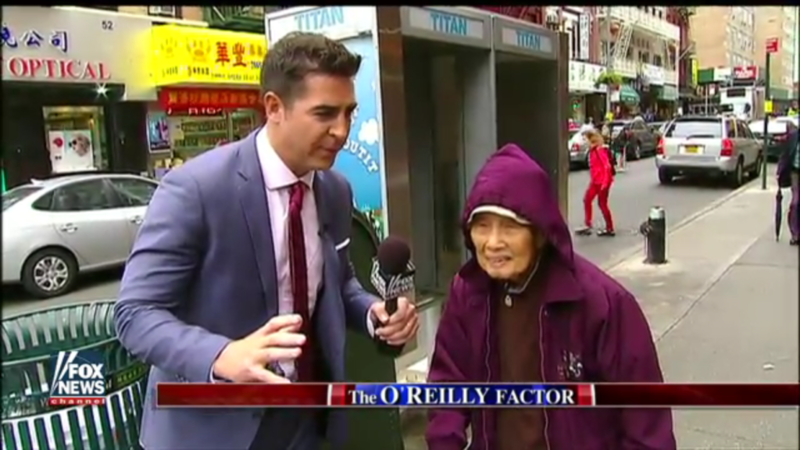 Earlier today, Fox News also received a hard copy of a petition protesting the Watters’ World segment that collected 20,000 signatures in less than four days. AAJA is currently working with AAPI community leaders to organize and facilitate the logistics of the meeting. This post will be updated as more details emerge.